A budget traveler's dream come true! We offer private cabins, private rooms, hostel bunks, and wall tents- all located in a beautiful mountain setting along a pristine creek. 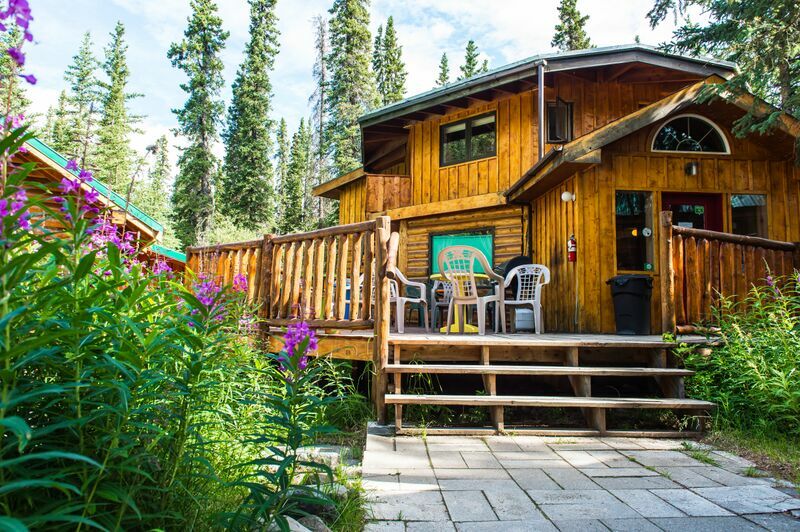 We are located 13 miles south of the entrance to Denali National Park, and offer complimentary shuttle service between the hostel and the park entrance area four times daily. All of our guests have access to our shared kitchen, lounge, and common area facilities. Relax around the dinner table with other guests from all over the world, or cozy up around the bonfire and enjoy the mountain views and the company of your fellow travelers. The hostel is clean, the staff is super-friendly and helpful and we offer discounted prices on local tours and transportation. We look forward to serving you!